Hello, my name is Mike Ward and may I welcome you to my Therapy and Coaching practices in Hampshire and my anxiety clinic Harley Street London. Now I am guessing that maybe after some searching on the internet, you are here because you want to explore particular areas of your life that are causing certain levels of distress? Or maybe there are specific areas you want to develop, improve or have freedom from and greater control? So you may be wondering how I can help you? That is a very good question and I hope to answer that here for you now. 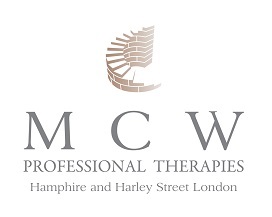 I provide and deliver professional and effective modern therapeutic interventions, that will assist you in achieving the outcomes you want from your therapy or coaching, please click here on testimonials to review a wide and diverse range of my clients comments and therapy experiences. My therapeutic interventions are focussed and deliberate to help clients become more resourceful, confident, resillient and to create lasting positive change. Or maybe it is just about coming to terms with specific experiences to feel supported, and developing a different perception to have a deeper understanding. Either way each case will be very unique for every individual client, treated respectfully and with confidentiality. I also provide six different therapeutic approaches, but you have choice and together we can review which one would be the most effective and tailored to your needs and the aim of your therapy or coaching outcomes. My belief is that effective therapy and coaching for success, must begin with an understanding of your needs and to enable this I will provide for you a complementary telephone consultation. These free consultations do book up rapidly each week, so please call or email to book an appointment time, just click on 'contact us' to arrange one. By now, hopefully you are starting to have a sense of thinking differently, around the different types of therapy I offer and developing or defining ideas about how these may help you in the changes you want? Perhaps beginning to discover how life could be, tomorrow and the day's weeks, months and even years ahead? Therapy and Coaching is about communicating and bringing with it significant other benefits, from personal to professional development, achieving high performance, finding more balanced ways of thinking, increasing self confidence, self motivating thoughts, feeling re energised, improving assertiveness, ways of communicating and relating to self and others.